"You who so love flowers, I offer you this bouquet." Well it is not a secret anymore! 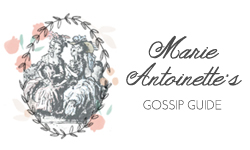 The above quote, from Louis XVI to Marie Antoinette, is noted on page 33 of the book, A Scented Palace: the secret history of Marie Antoinette's perfumer. The art of perfume was always mysterious and one French town in particular was known for perfumery: Montpellier. This very town was where Jean-Louis Fargeon was born. He moved to Paris where he to an apprenticeship with a popular perfumer, developing his own skill and talent. 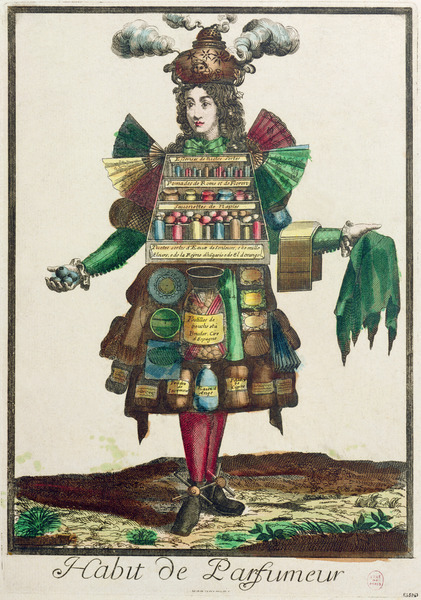 The Perfumer's Costume (colour engraving), Bonnart, Nicolas (c.1646-1718) / Musee de la Ville de Paris, Musee Carnavalet, Paris, France / Bridgeman Images. Jean-Louis Fargeon grew up to be a talented perfumer with a reputation that caught the attention of very important clientele, including Madame du Barry. He had aspirations to become the perfumer to the royal court in eighteenth-century France. Madame du Barry, pleased with his work, had promised him to make mention of him to King Louis XV. Unfortunately, soon after, the King fell ill with smallpox and she was sent away from court. This was not a career ending moment for him. Fargeon's talent would gain him perhaps the most important client in France, Marie Antoinette. Not only important but an ideal client, who loved flowers, beautiful fragrances, was a trendsetter and had the money to spend on luxuries. She was his client for fourteen years! France in the 18th Century, from 'The Art of Perfume', pub. 1912 (pochoir print), Barbier, Georges (1882-1932) / Private Collection / The Stapleton Collection / Bridgeman Images. 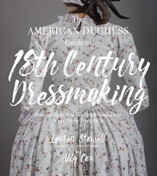 The book offers a look into the 18th-century French court during the years leading up to the Revolution, and a glimpse of the preoccupations of the people at court. 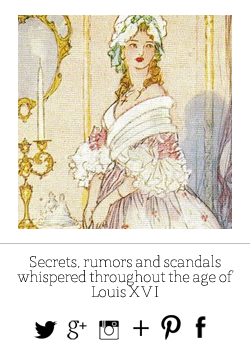 It also includes 18th-century recipes the perfumer created for his clients including Marie Antoinette's favorite scents. In addition, appendices located at the back of the book have Fargeon's notes about different fragrances. It is a very enjoyable book and would make a great addition to your reading list! Feydeau, Elisabeth de. 2006. 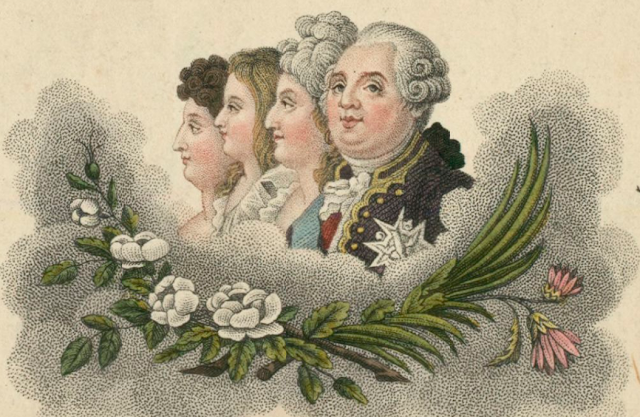 A scented palace: the secret history of Marie Antoinette's perfumer. London: I.B. Tauris. 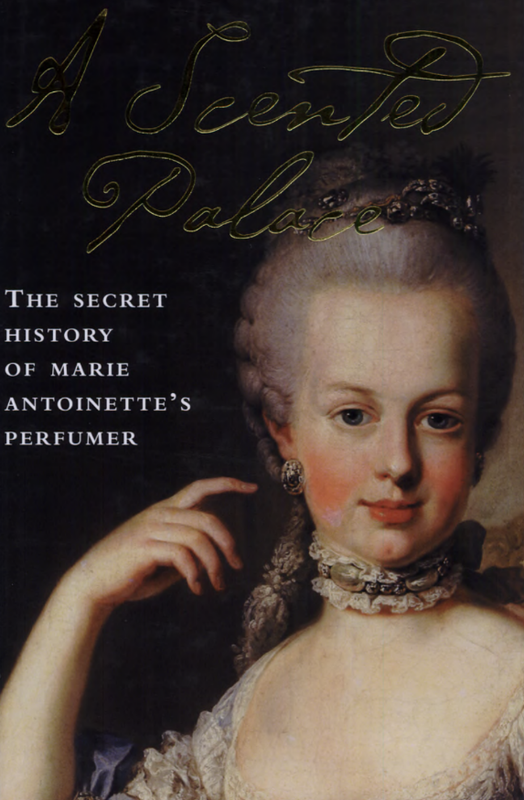 This book is the product of research on the papers of Fargeon, a perfumer whom Marie Antoinette often commissioned. 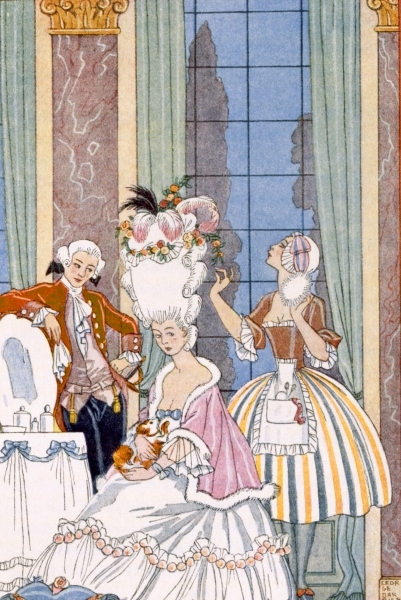 It discusses beauty and bath products including types and scents that the Queen enjoyed. Wow, this book sounds like a amazing read! 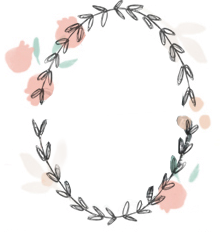 I will have to put it on my list, I love all of your illustrations! This is a wonderful book. I read it several years ago, as a matter of fact, it was my reading material on a trip to Paris! It was fascinating.